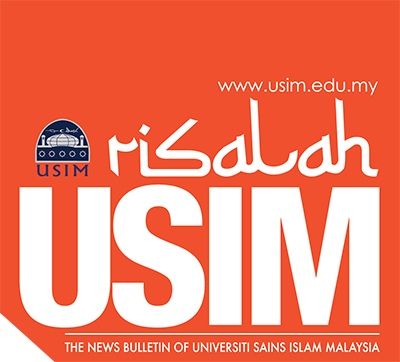 KUALA LUMPUR, March, 22 2019 – The Islamic Science University of Malaysia (USIM) has signed a Memorandum of Understanding (MoU) with the Summit Hotels & Resorts Group (SHR), in an event organised by the Centre for Community Engagement and Industrial Networking (PLMJI), USIM. The Summit Hotels & Resorts (SHR) is the first hotel to sign an MoU with USIM since USIM’s inception. The MoU was signed by the Vice-Chancellor of USIM, Prof. Dato’ Dr. Musa Ahmad together with the Chairman of the Summit Hotels & Resorts (SHR), Dato’ Abdul Rahman Harun. “I would like to thank the management of the Islamic Science University of Malaysia for signing and endorsing the Memorandum of Understanding (MoU) with Summit Hotels & Resorts Group (SHR)”, said Dato’ Abdul Rahman Harun. The MoU is implemented to strengthen the cooperation and development of the ummah and society. This is one of the initiatives of USIM to bridge the higher education institutions with the industry which is a significant entity in the accomplishment of the community agenda. This partnership has given USIM some advantages since the Summit Hotels & Resorts (SHR) will contribute a 5% cash waqf to USIM from the profits it earned. In addition, the hotel management also offers to accept USIM students for the purpose of industrial training placement and attachment for USIM students and staffs in all SHR chains. In order to maintain this partnership, USIM will also work to assist in terms of expertise exchange/sharing with the industry and thereby contribute towards the development and advancement of the ummah. Prof. Dato’ Dr. Musa Ahmad expressed his gratitude to the Summit Hotels & Resorts Group Sdn. Bhd. (SHR) and hope that today’s collaboration will last and able to bring a positive impact in community engagement programmes, knowledge development, human capital development and sharing of expertise in the interest of the ummah. The event was also attended by Prof. Madya Dr. Rafidah Hanim Mokhtar, the Director of the Centre for Community Engagement and Industrial Networking (PLMJI), Dr. Nurkhamimi Bin Zainuddin, the Dean of the Faculty of Major Language Studies, and Dr. Hayati Ismail, the Director of the Strategic Communication Centre.